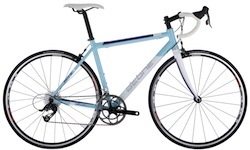 Womens road racing bikes are designed with women in mind. As such they have different saddles, frame angles and positioning tailored to suit womens body positioning. 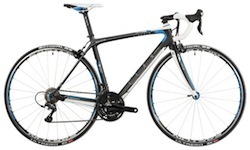 They are light and responsive and although there is not as much choice when compared to mens road bikes there are still plenty to choose from in all price style and brand brackets. Carbon fiber is the choice road bike material as it is light and super strong, but will set you back a few grand at least. Aluminum is the next best choice perhaps with carbon forks. Remember when buying a womens road bike to know what you want and what price you are prepared to invest.